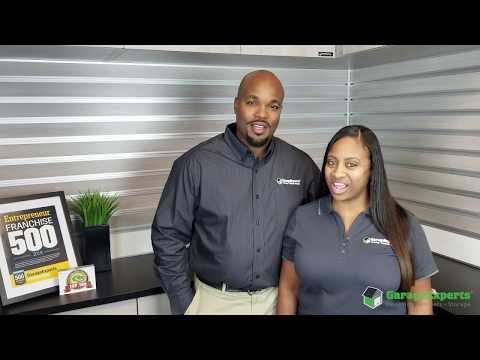 Garage Experts of Greater Atlanta is locally owned by Barrington Clarke and his wife Akeva Clarke. Mr. Clarke spent many years employed as a wire technician, with only a dream of being able to pursue his passion of transforming properties. After investing hands on in the transformation of properties from start to finish, he determined that he wanted to fully devote himself to his skill and passion. Garage Experts presented the perfect opportunity for him to express creativity in all aspects of garage enhancement. As an expert in epoxy flooring, cabinetry, and slatwall organization, Mr. Clarke finds himself dedicated to provide clients with quality professional work and excellent service. Mrs. Clarke is a creative visionary that has coordinated events, production performances, and background designs. Her creativity brings to life the clients vision that transforms a space into something amazing. Mrs. Clarke has personally experienced the quality of Garage Experts installations. She affirms that the transformations go beyond the garage, by making the garage an extension of the home. With all of the industrial grade cabinets being customizable, we provide a 3D rendering of your garage transformation. 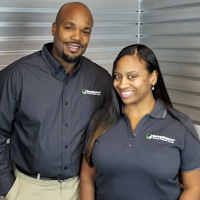 Together Mr. and Mrs. Clarke bring Garage Experts to your home or business with the commitment of family to every client. We are so confident that you will love your transformation, we offer a Lifetime Warranty on our Garage FX flooring system. Our one of a kind flooring systems can be used in an endless variety of locations such as basements, patios, businesses and much more. We provide superior products that are safe to the environment and are made in the USA. Call us today for your free estimate, and to experience our dedication to your transformation. GarageExperts of Greater Atlanta is your local garage makeover expert. View some of our recent work.